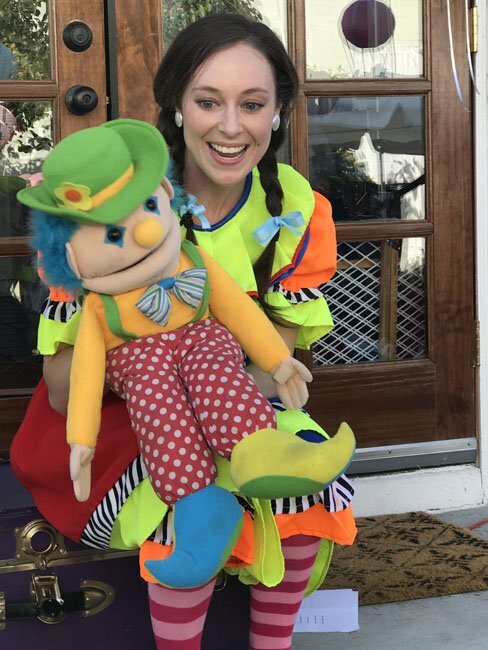 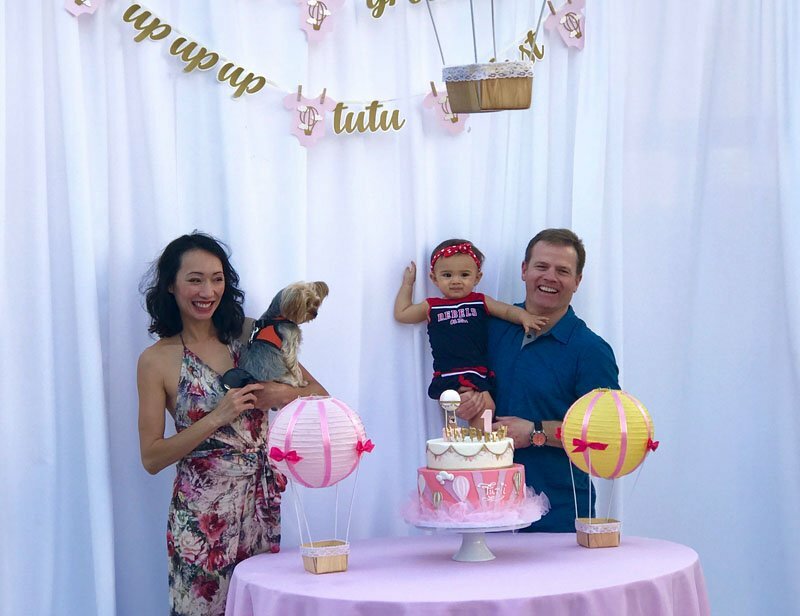 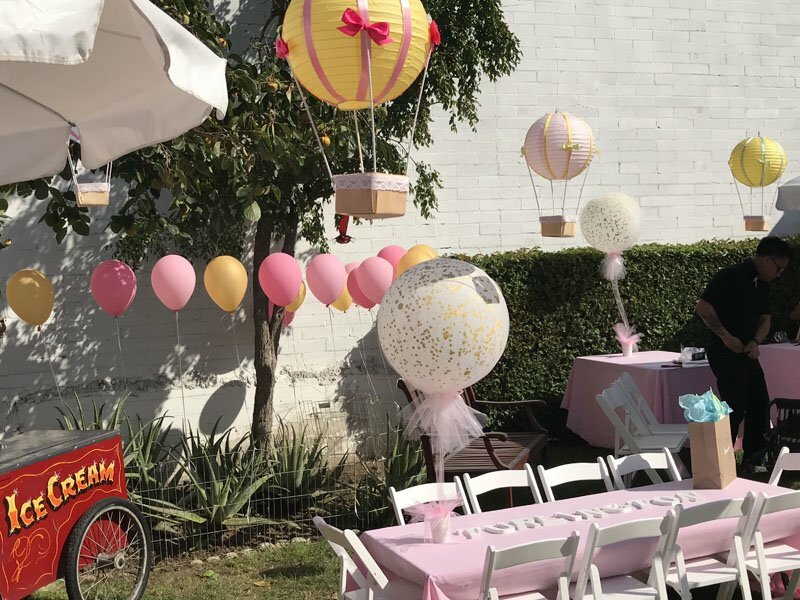 For Turli’s 1st birthday we transformed an ordinary backyard into a hot air balloon dream land. 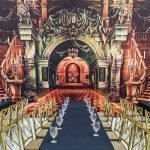 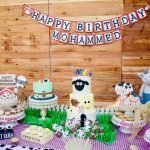 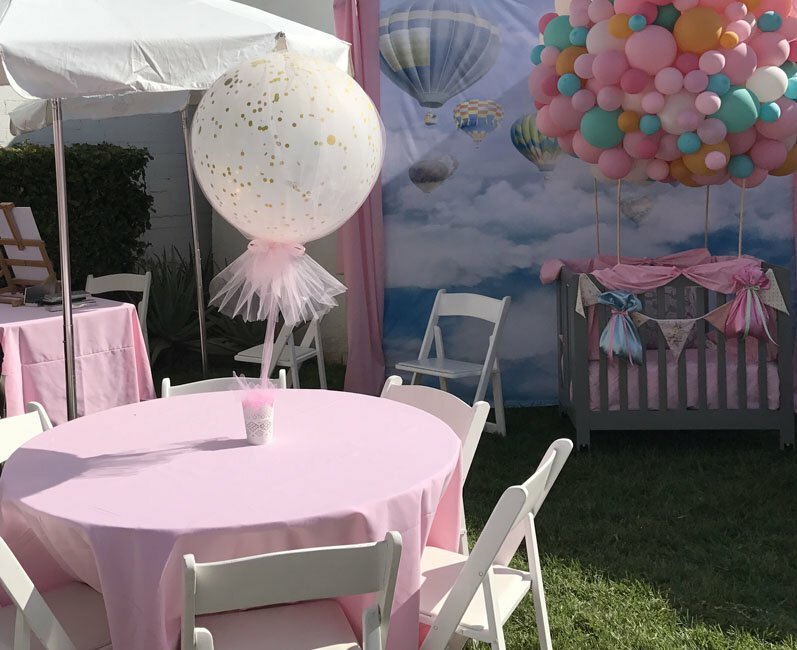 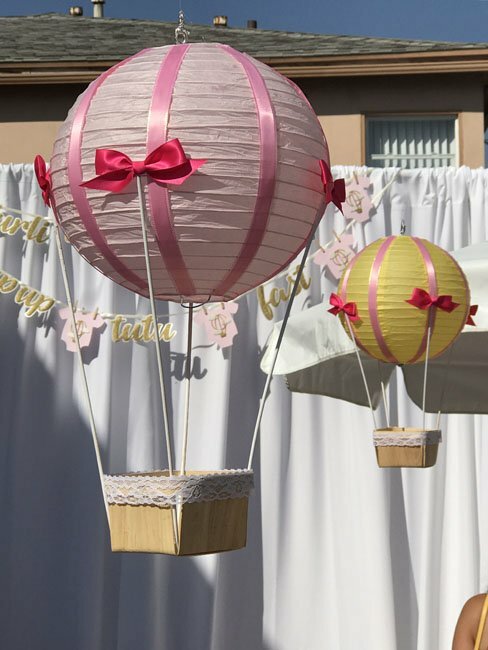 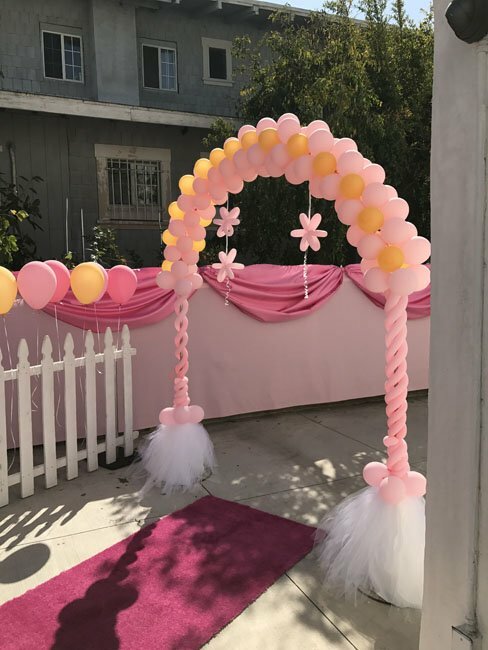 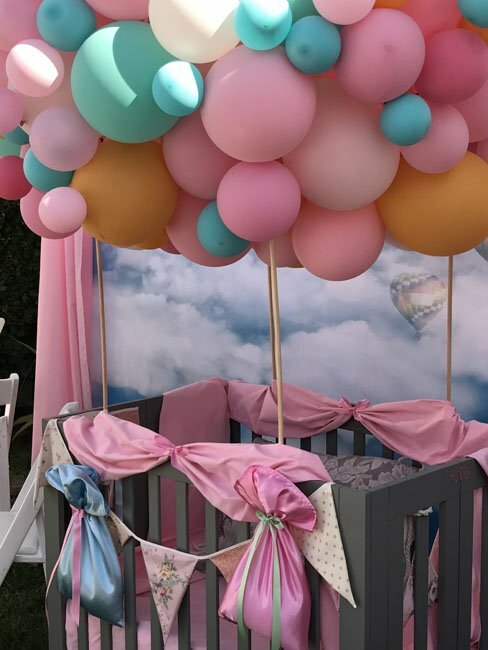 We did a lot of draping and covering to make the surrounding city disappear and added balloons and lots of pinks to create the sweet and festive look we wanted for a girl’s 1st birthday. 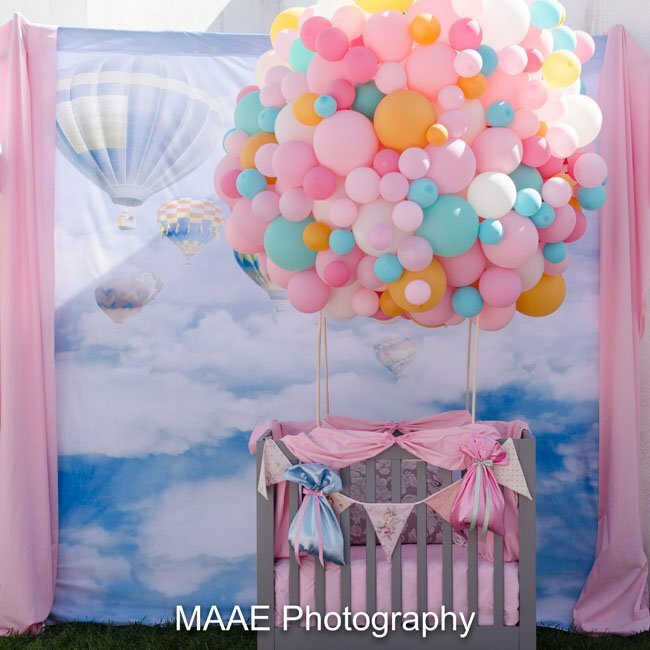 We strung handmade hot air balloons up in the air everywhere and created a photo station building a hot air balloon out of hundreds of latex balloons strung to Turli’s crib. 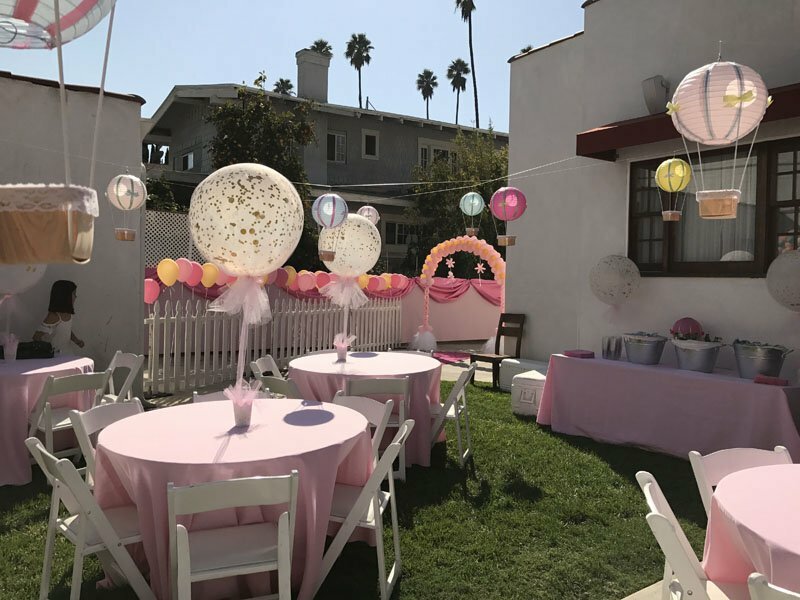 It was a very sweet and intimate party for friends and family. 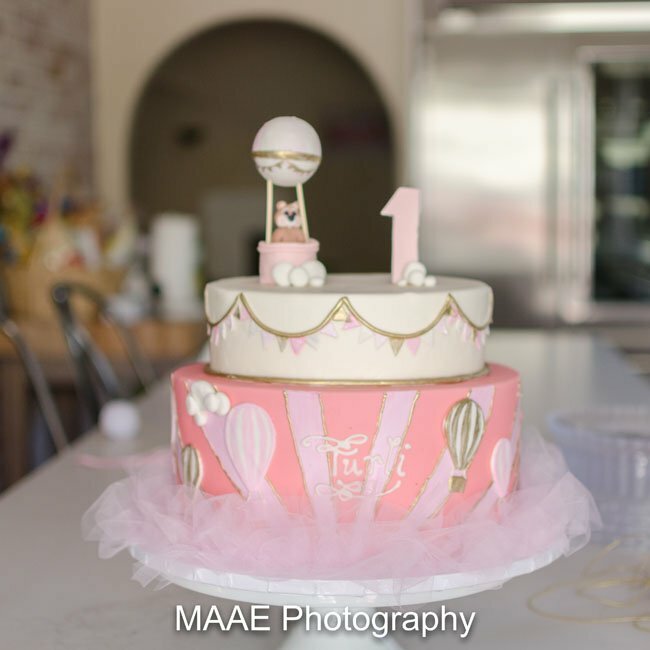 The atmosphere was lovely, the food scrumptious and cake delicious!